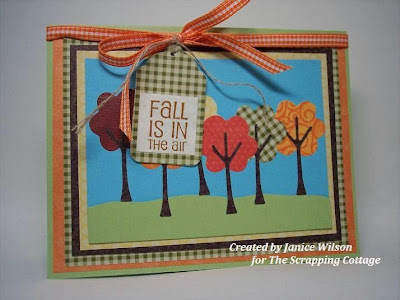 CottageBLOG: Fall is in the air! It is hard to believe that it is November 1st. Where does the time go? I hope you all had a safe, fun, and Happy Halloween. We didn't even have a single trick or treater. :( That is what you get when you live on a private road. The house we lived at prior to this one, was on a busy street, so we didn't get trick or treaters there, either. I love Halloween and wish I could see the little ghosts and goblins coming to my door. Some people get so many they run out of candy. I wasn't going to buy any candy this year, but my optimistic husband said we needed something for the neighbors when they drop by. Well, guess what? Even they didn't come by. So guess who has been eating the candy? :( Well enough of my rambling. Todays card is clean and simple and made with The Simple Tree die. The colors have been beautiful this year and there are still many trees left to lose their leaves. The last few days have been a bit windy, so most of the leaves have fallen. I used different papers to show the many colors of the fall season. This is a card that is easy to make! 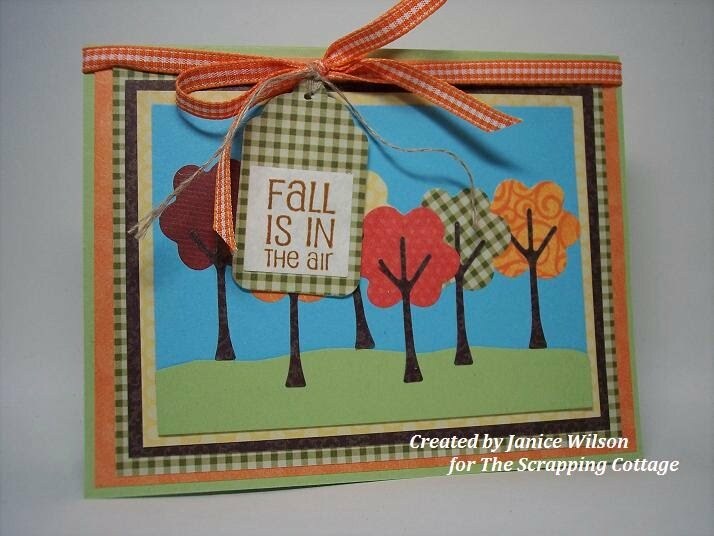 I hope it inspires beginners and experienced card makers to give it a try. I think the result is kind of cute, if I do say so, myself. I hope you like it too! As always, thanks for stopping by and have a wonderful week! See you next Monday! Love all your patterned trees! I always forget to do stuff like that with my dies. I love the patterned trees. This card is fabulous! LOVE those patterned trees. Gorgeous! Gorgeous colors and papers!! I love it!! Awesome card, Janice! What a fantastic use of patterned paper for those trees. A stunning effect, and a wonderful and colorful display! Sooooo pretty!!! Black Friday Specials - NOW!! !